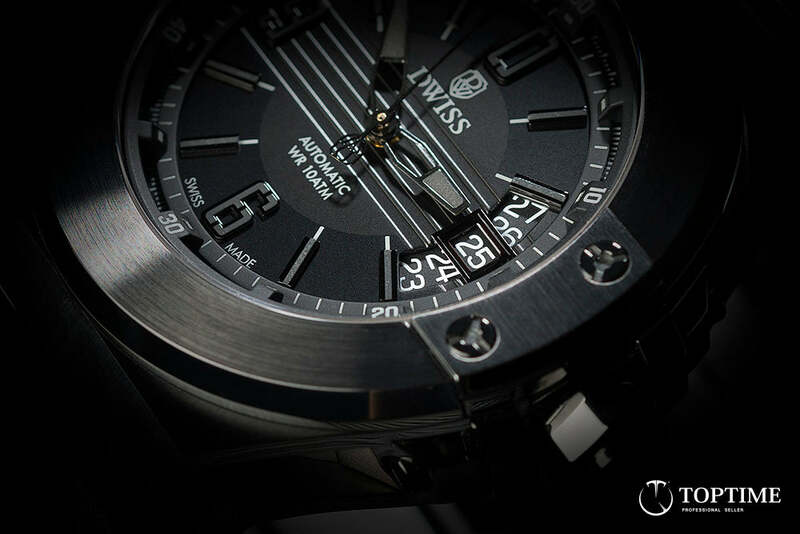 Many „Swiss Made“ brands can be proud of rich, several decade long history. But there are also young „Swiss Made“ brands, that don’t have so many generations of history but they are still worth to be mentioned. One of these brands is an independent watch brand from Lugano (Swiss) called Dwiss. The brand was founded in 2011 by a Brazilian, dynamically thinking young designer – Rafael Simoes Miranda. Rafael holds prestigious designer award „Red Dot Design Award“ from 2005 for his proposal of unique truck. 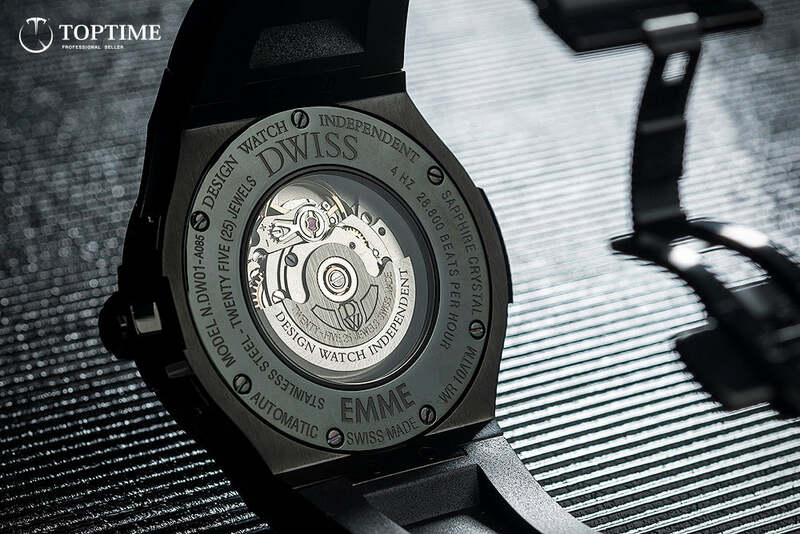 His sense for design is shown also in a collection of watches Dwiss Emme. Let's focus on the watch itself..
Model Dwiss Emme is offered in 4 colors. We will aim at all black model. 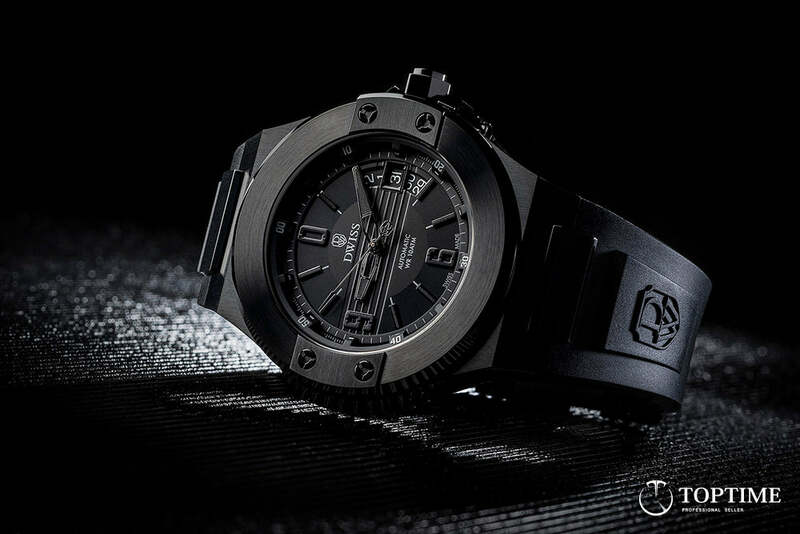 Under black PVD coating, standard steel in 316 L quality is hidden. The main domain, and I dare to say, also the main pride of the watch is a complicated case. It is composed of 9 parts, which are connected with 23 screws. Its shapes stand out especially when looking from the profile, where you can see through the feet. A forfeit for this beautiful detail is a slightly difficult maintenance or cleaning of hardly accessible parts from dust grains or other dirt. 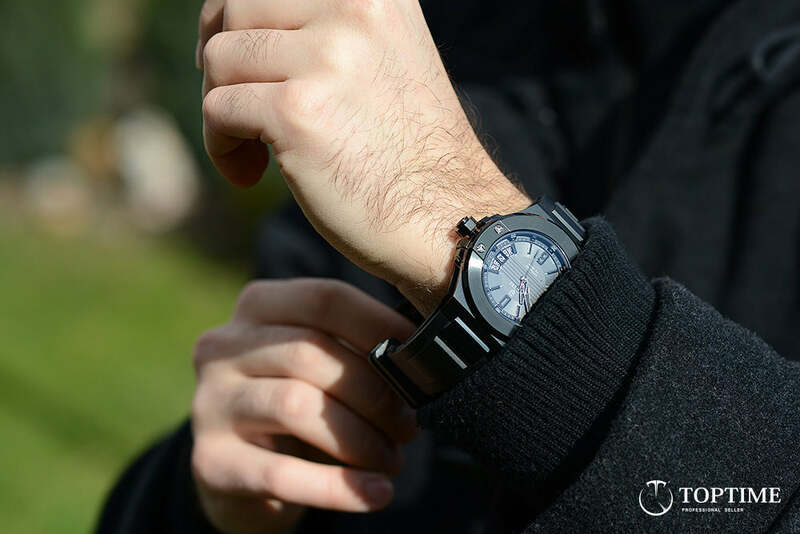 The size of the case is 43 mm without crown and up to 53 mm in height (from the beginning to the end of the lugs, with exception of central steel part that connects to strap) and for its specific shape of case, the watch will suit more people with wide wrist. Practical waterproofness up to 100 meters is also an advantage, so to take a shower or go for a swim won’t be a problem. 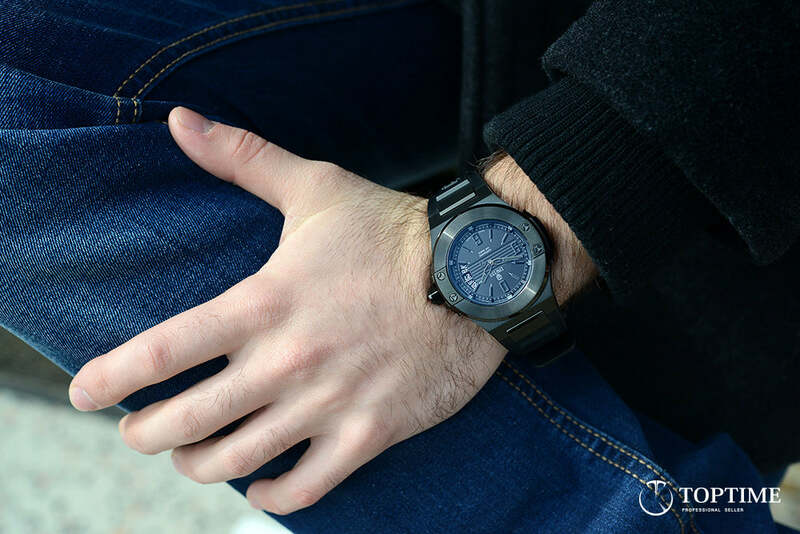 A black dial attracts with many interesting details. For example an original number 0 on a position of 12 hours, open date window, where you can see two previous and following days or internal 3D lunette, that adds more depth. Manufacturer of dial did a good job, as even under magnifying glass, no imperfections or small mistakes are visible. 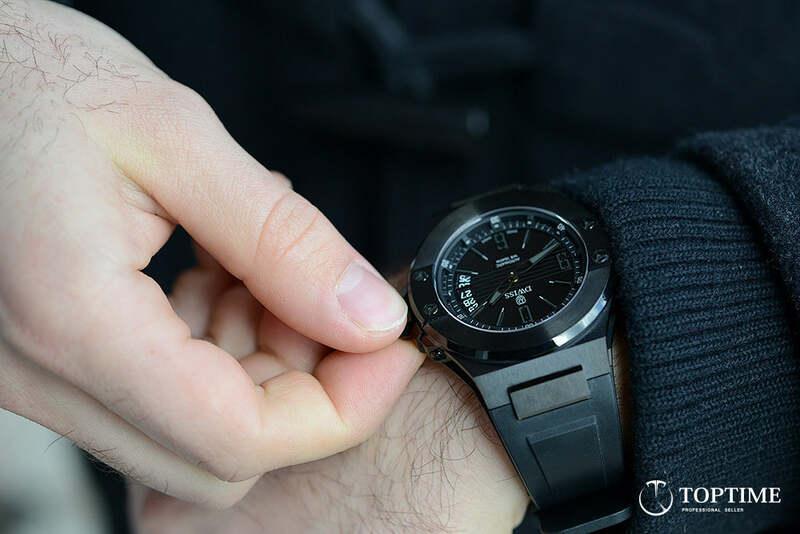 The watch, as well as dial is all black, what is a disadvantage, as you re-pay for this fashion pomp with difficult reading of the time, especially in worse light conditions. But superluminova applied on hands, indices and numbers, helps a bit. Well known, Swiss automatic movement ETA 2824-2 Elabore, assures smooth run of second hand. 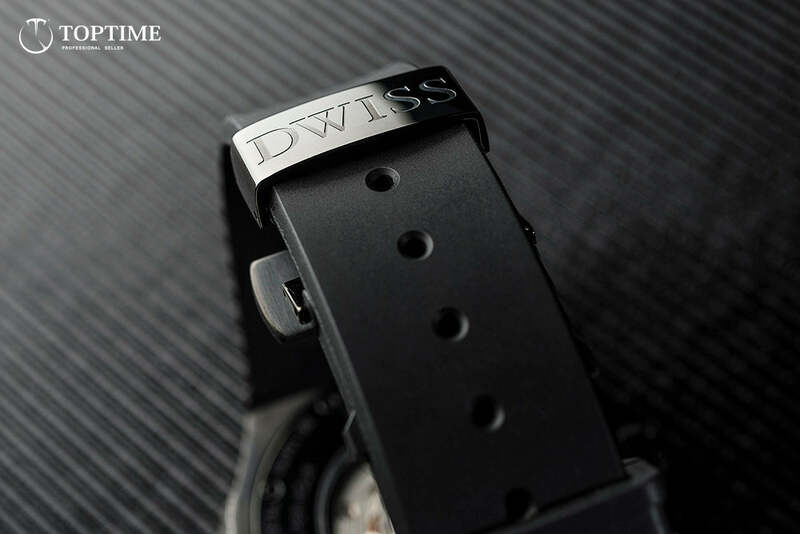 Movement has a shock protection Incabloc® and own rotor made by Dwiss, nicely decorated with engraved name Design Watch Independent, from which actually the brand name Dwiss is deducted. You can see how the clockwork works under the wide black steel and mineral glass caseback. 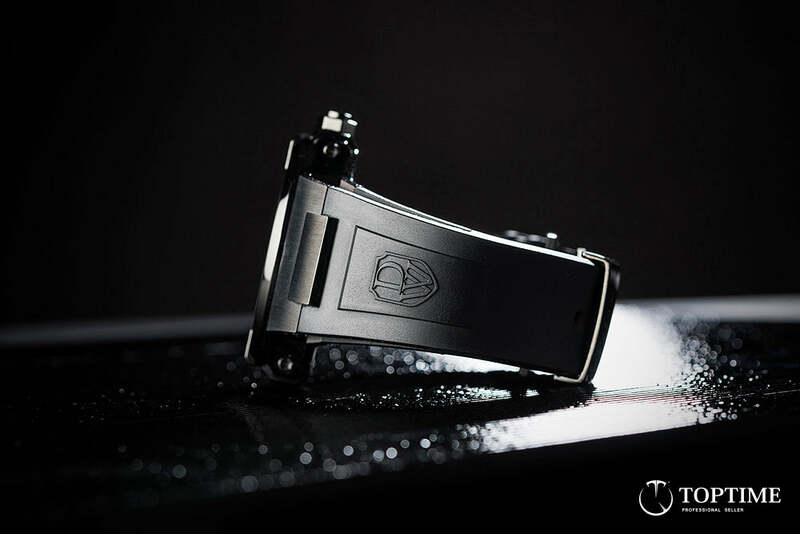 Polished steel part of the caseback is engraved with names of different sizes arranged in two lines, what I personally like a lot and it shows that designer designed it with all his heart and soul. Regarding the mineral glass, you don’t need to worry because although the glass is more liable to various scratches, with the given shape of watch and strap, basically it’s not possible to put the watch on the caseback and so no scratches could appear. Movement has approximately 42 hour power reserve when full winded. Original rubber strap is the best and probably the only possibility, as to the specific shape of case, practically no other strap fits. Strap is hypoallergenic and comfortable to wear, but a longer part passes slightly difficult through the rubber loop on a shorter part. The loop was designed so the longer part of the strap fits on millimeter. In the lower part of the strap, below the feet, nice initials DW in imaginary crest are engraved. Standard butterfly clasp makes the everyday fasting of strap easier. On the top polished part, a name DWISS is engraved. If you like this model or if you want to know more detailed technical specifications, please click on the following link Dwiss Emme all black.